Quotes – Expectations. | musings at random. When it comes to goals…let’s not expect them to fall into place. Let’s not just think them into existence. Let’s work toward accomplishing them. 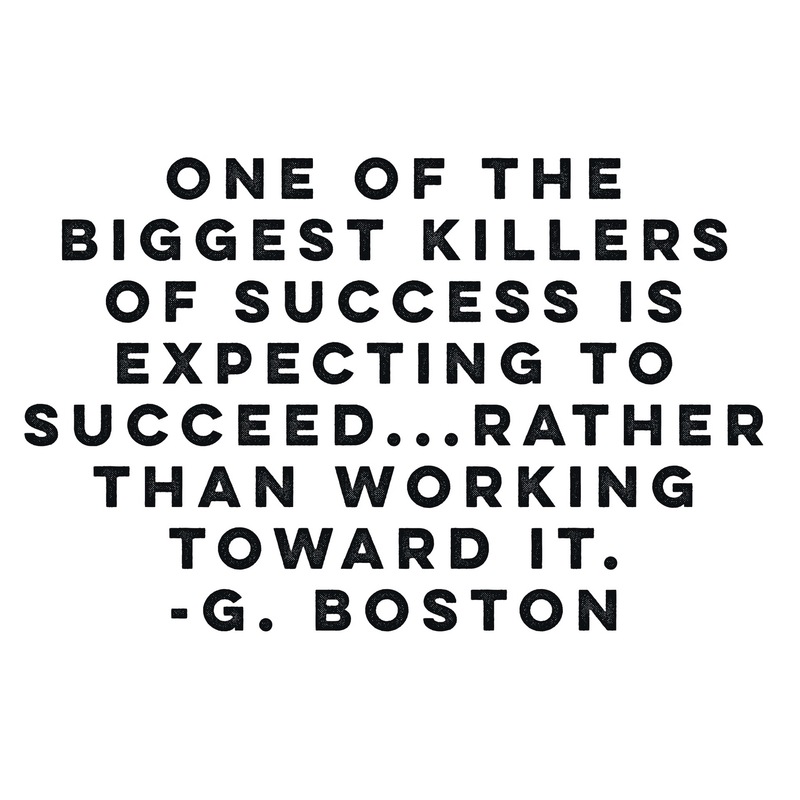 Expect to succeed, yes…but then put the work in to see it through. Stay creative. So true. On this past Thursday’s finale of the 16th season of Project Runway, the designer who had been built up all season to believe his designs were outstanding, felt so confident throughout the season and expected that he would be the Finale winner. He was devastated (and tearful) to learn he didn’t win and even said, “I thought I had it.” Now another one of the final 4 designers said during the finale that whether he won or lost was not important, he was just grateful being chosen to share his designs and the love he felt creating them. He won. Confidence is one thing…but expectation is a other. It’s a very fine line, and your example is a perfect one. I like that approach…win or lose, be grateful for the opportunity to just be. That’s how we should all approach each day. Win or lose, just be grateful one way or another. Expectations muddy the water. Thanks for sharing, and thanks for reading!